A place for your best work communications. 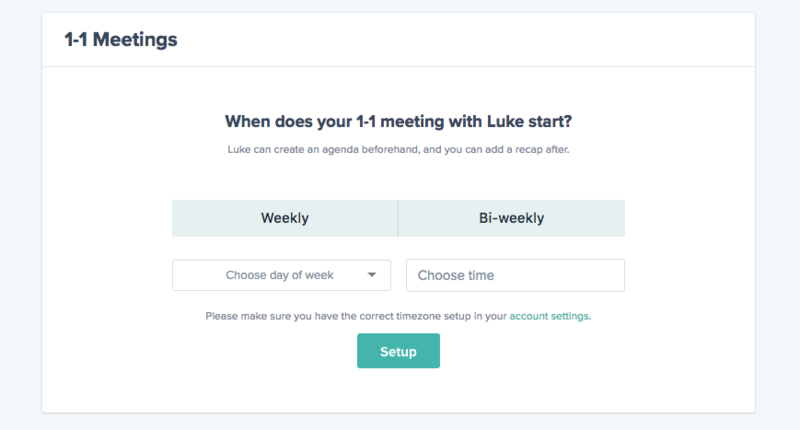 Friday is a suite of tools to reduce the time spent in meetings, improve team clarity and help you be more effective. 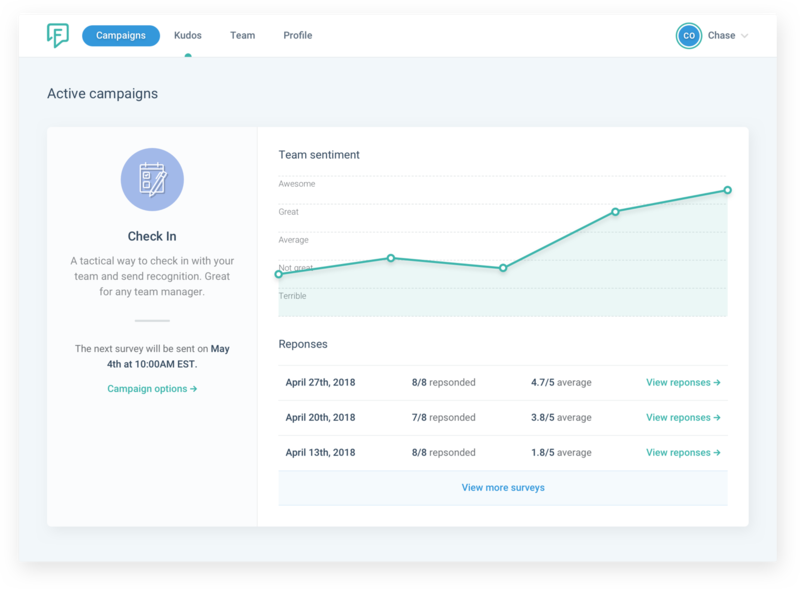 We capture the most important stuff asynchronously, giving you deeper insights, kickstarting your best conversations. 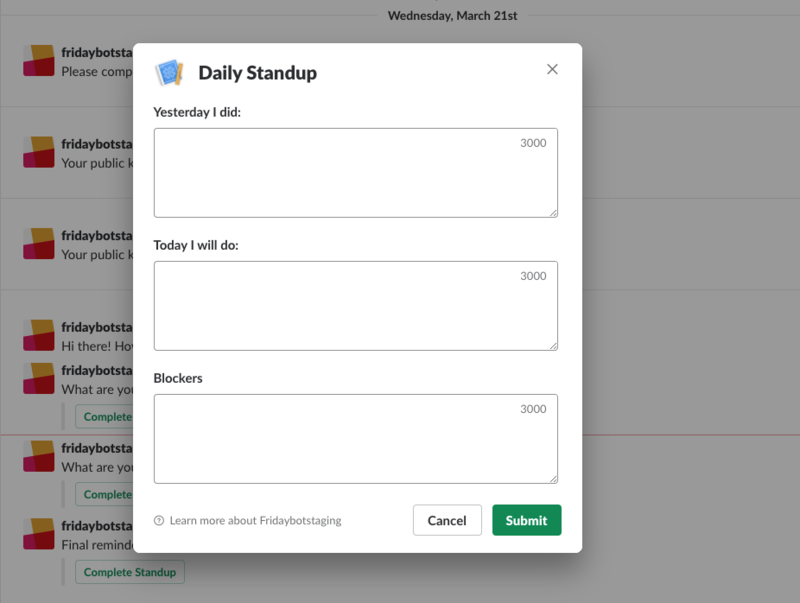 Capture fast feedback with daily standups. Minimize distractions while keeping everyone in the loop on what was just accomplished, what's happening now, and any blockers that exist. Complete stand-ups over email or Slack, staying up-to-date without a daily disruption to heads-down work. Improve your existing standup meetings or run them asynchronously instead. Great for distributed teams in numerous time zones. Save hours every week while boosting productivity. Understand what's going on at a higher level with weekly updates. Better conversations start with open input and honest feedback. Customizable, regular updates help better understand how things went over the last week (or during the last sprint). Help the team find ways to improve and gather ideas for the future while letting people be a bit more open and honest from behind a screen. See how the team is trending over time and rely a bit less on leading based on "gut feel." Team members take a proactive role in driving the agenda. Action items are shared and ongoing history is available for both leads and team members. All with the context of the team’s day-to-day activity. 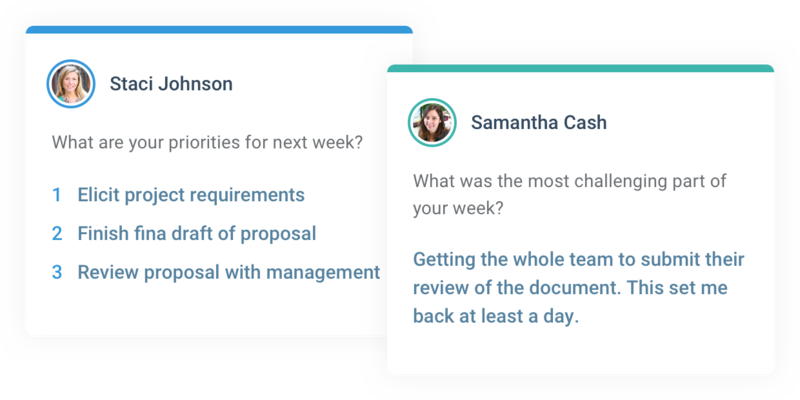 Make your most important conversations better and have them in less time. How often do you say thanks when someone does great work? Do you wish you said, "thanks" a bit more often? Do you wish people recognized the work you do a bit more often? 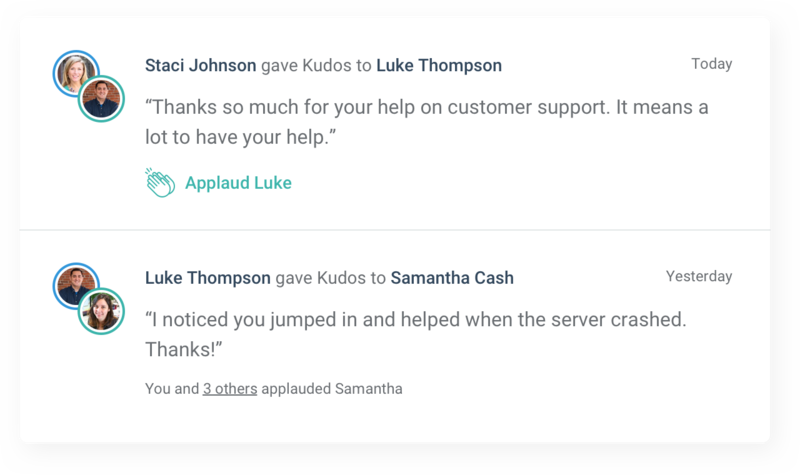 We make recognition easy for you, your team, and your entire company. We keep it simple too, making sure it always stays an important part of your culture and communication, not a HR game or an extra incentive system. Try it out with your team. See how Friday Feedback can help your team or organization.